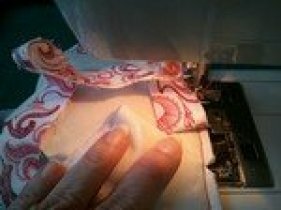 Apply your binding to the wrong side of your project – when you get to the center of the first inside corner, stop the machine, leaving the needle in the fabric. 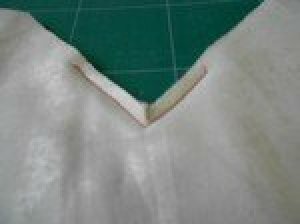 Lift the pressure foot and move the fabric below the corner cut to the left until it's in a straight line with the fabric above the cut. (picture 2) The clip you made in the corner will allow you to pull this inside corner to a straight line. 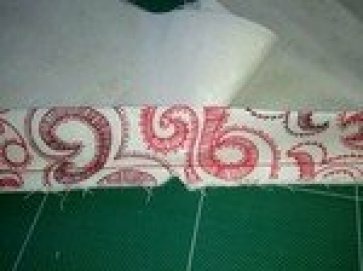 Align the binding even with the quilt's raw edge and stitch into place. (picture 3) Continue around your project in this manner and end as you usually do. Clip a notch out of the binding (picture 4) to allow it to bend inside your inside corner (picture 5). 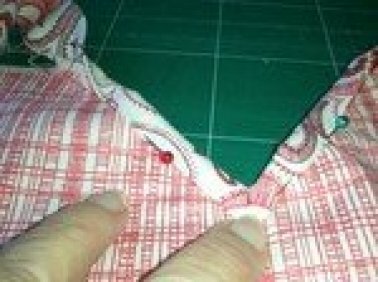 Turn your piece over – right side up – flip the left half of the binding down. 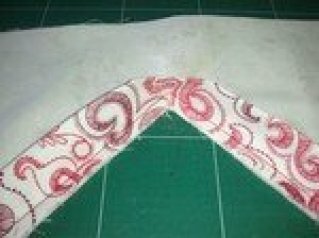 Creating a miter, flip the right side of the binding down. 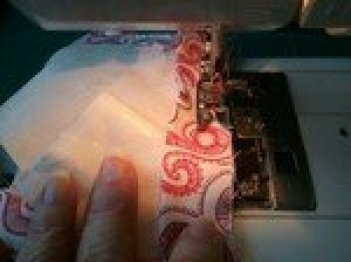 Hand-stitch the binding miter from the center of the binding toward the inside of the corner. 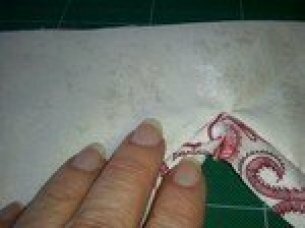 (picture 6) You must leave the other half of the binding unstitched so that it will fold around to the back of your piece.